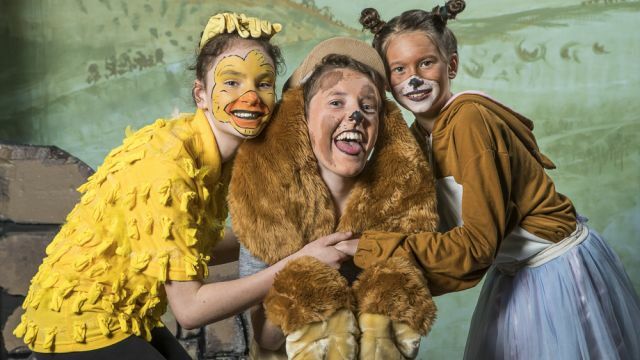 Pymble Players 2017 children’s production brings to the stage three writings from Roald Dahl. In The Magic Finger, young Lucy has an incredibly powerful finger, who finds a way to thwart the duck hunting Gregg family. To the Gregg family, hunting is just plain fun but to Lucy who lives next door, it's just plain horrible. She tries to be polite, she tries to talk them out of it, but the Greggs only laugh at her. Then one day the Greggs go too far, and Lucy turns her Magic Finger on them. When she's very, very angry, her Magic Finger takes over. She really can’t control it, and now it's turned the Greggs into birds! Before they know it, the Greggs are living in a nest, and that's just the beginning of their problems.